Poll: What Are You Most Excited About in the Mario Kart 8 DLC Pack 2? Earlier today Nintendo finally unveiled its full line-up for the Mario Kart 8 DLC Pack 2, with a whole host of lovely videos joining the announcement. We've also had a chance to go hands on with everything the DLC has to offer, including 200cc mode, to share our views on how its shaping up. In summary - we like it a lot. Of course, the videos that we've been able to watch and screens we've gawked at - check the first hyperlink above if you're yet to see them - have helped us all to understand just what we're most excited about in next week's update and DLC-fest. Let's not forget that 200cc racing will be free to all, too, which may or may not give it an edge in the polls to follow. We want to know which tracks, features and characters your most hyped about, as we all wait patiently - or impatiently - for the new content to drop next week. Click those buttons and type those words in the comments to share the buzz. 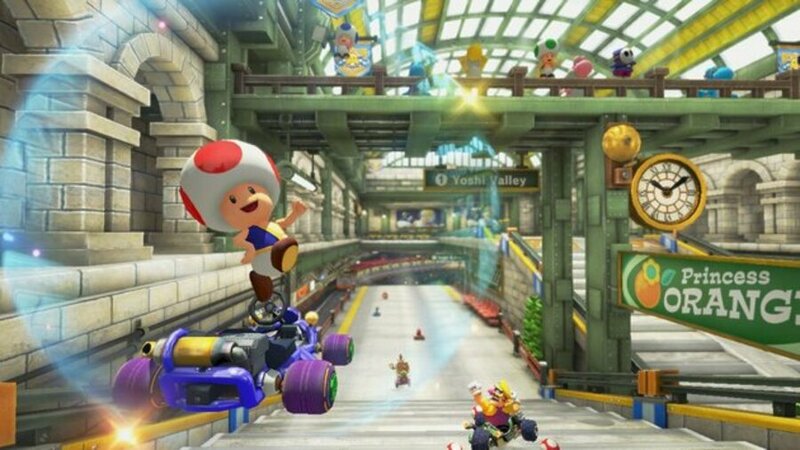 Which upcoming mode / content are you most excited about in Mario Kart 8? Which of the DLC tracks are you most keen to blast around? 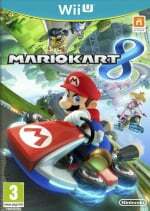 Would you like there to be a third pack of Mario Kart 8 DLC? New courses of course. They trump all characters and or vehicles. Screw new courses, they all merge into one eventually. I'm so excited for more players and customization options and of course, 200CC!!!!!! I think there has been a good amount of DLC and 200cc is great. I can wait for Mario Kart 9 in Nov 2017. Big Blue in 200cc of course! And YES we need a third pack with Port Town Aerodive!!! Also, Isabelle is cute. I don't plan on playing her myself, but she's an adorable addition to the roster. New courses for me, but the 200CC is going to be AWESOME! Are there new tires and gliders? I'm loving it can't wait. I voted for new courses, then new characters. 200cc looks very hard, and adds something new to gameplay. 200cc on Big Blue will be awesome! Now we just need a 3rd DLC pack with proper Arenas included. Listen to me! New courses for sure because those add the most replay value in my mind. 200cc is going to add some too seeing as how I'll now have to go back and replay each course to get a perfect score in everything. But the tracks are certainly the best, 8 new tracks hot damn. The courses though 200cc will also add a lot. Mute City and Big Blue on 200cc are going to be extremely epic. I would still prefer an actual F-Zero game. While I'm at my friend's house, 200cc will no doubt be the big thing during our gaming sessions. We may never go back to 150cc afterwards! @DiscoGentleman - Take a drink every time you're Blue Shelled or hit by Lightning? How are people so excited for Dry Bowser? He's just as boring as Metal Mario and Pink Gold Peach. Oh my god... 200cc for those occasional drunken Mario Kart parties. That'll be awesome. Ribbon Road was my favorite track in Super Circuit, and it looks amazing in MK8. If they plan on creating more DLC packs in the future, count me in. 200cc is the most promising thing, and it's not even part of the actual DLC. The characters won't have any impact at all, and the tracks will have to be tried first. However, I'm not really seeing the point of Baby Park in MK8. By itself, it's a really boring and lazy track - what made it awesome was the insane mayhem thanks to the many super items in Double Dash! !, which are notably absent here. No Bowser Shells, no Big Bananas, no random Stars from Yoshi/Birdo Eggs. What's there to be excited about then? More Mario Kart 8 DLC? No, give me an F-Zero already; Big Blue looks awesome, cannot wait to play it. Definitely want a third DLC pack. These are really good value, unlike the Smash DLC. 8 tracks, 3 characters for $8? Great deal in comparison to $5 for one character in Smash. If they do another pack, I'd love to see it give us either Kirby or Metroid tracks/characters. Or both. Or do a 4th pack for whatever one misses out. As for retro courses, there are still a few out there that'd be fun to see in HD. Oh, and I'd pay for a true battle mode! I'm always a fan of new tracks, that will never change. But the never before done 200cc is something I've wanted since the first SMK... I simply MUST go faster! @Mahemoth Arenas would be awesome, especially a remake of Block Fort with its multiple tiers. Any new courses, new characters, and new vehicles are also more than welcome. As far as courses, we can always use a few more Bowser Castles. I'm very grateful for the content Nintendo has produced so far, and can't wait for next Thursday. But on the same hand I am ready to pay for another couple of DLC packs at any time Nintendo will take my money. You're GOING to MAKE me CHOOSE?! And the P-Wing kart I'm very much anticipating. It looks incredible. I chose Super Bell Subway although really I'm equally excited for all them, mostly Baby Park, Ribbon Road, Cheese Land, Neo Bowser City, Wild Woods... yeah basically all of them. Would I want more DLC in the future? OF COURSE! Dry bowser is meh, but the tracks? Oh heck yes! I'd buy another dlc pack in a heart beat! Although they have to be track packs, as characters don't really peak my interest. Unless they are characters that have never appeared in Mario kart before, like link and the animal crossing crew. PLEASE let there be more packs! These are so beautiful, I'd happily buy more! I want a Pikmin Pack that comes with a playable Olimar. Or maybe a Kirby pack since everyone's been wanting Kirby since the Rosalina Smash Trailer. Or maybe even a Luigi's Mansion Pack that comes with E. Gadd & King Boo and the Poltergust 4000. Pikmin Pak would be amazing! It better be the 3rd one if there will be. The tracks add so much replay value for me. Then 200cc. New mii suits is good simply because it makes my amiibos have another function. Please add dlc 3. Even if just a battlemode dlc. 8 battlemode courses. Even if just updates of best snes n64 and gamecube ones. But add bomb blast option from double dash too. And add the characters missing... Diddy Kong, Boo, Paratrooper etc. 7 laps of 200cc Baby Park mayhem! Ribbon Road looks absolutely gorgeous. The P-Wing cart looks and awful lot like Sonic's race car from Sonic & All Stars Racing Transformed. @Captain_Gonru - "turning their efforts to the eventual sequel (NX launch title?) or even F-Zero or some other more "traditional" racer." Pretty much my thoughts exactly. While new tracks are always welcome, I'd rather Nintedo have it's limited personal working on the next game. 1 year later is enough time for DLC for me. Same for Hyrule Warriors, next game please. If Nintnedo does continue to have both handhelds and home consoles do you think they'll switch to 1 MK game like they started w/ Smash? To me Smash is the giveaway that even if they have both home and handheld there will still only be 1 set of games. Maybe differences like Smash had, but not 7 and 8 like MK. Wow, look at how big is the "Big Blue" bar aready! Take the hint, Nintendo! Am I the only one who noticed that Super Bell Subway sounds like Super Bowl Sunday?? @Nico07 Block fort was always a blast to play And becoming a bomb yourself after losing all of your balloons was almost a treat! I see that most of my choices were a bit unpopular. Isabelle FTW! I honestly think more DLC is overkill. Can't wait to race on Neo Bowser City, Animal Crossing, and the Ribbon Road. @Wouwter He's feels more original than them to me. Metal Mario fine with me too. Uhm, there's a couple things. For one, the course is in anti-gravity mode, so everyone is going to be bumping into each other for boosts. Also, there's that whole 200cc thing making the course extremely fast and chaotic. And while there's no special items in MK 8, there's still items. Imagine how crazy the piranha plant item will be on it. 200cc, Dry Bowser, Bone Rattler & more DLC please! Only if the next DLC is decent Battle mode with real arenas. C'mon Nintendo! @vio That doesn't really help. Since the track has a very wide roadway, it's way too easy to avoid things, since there are no big-range items anyway. Voted for Cheese Land accidentally, meant to vote for Ribbon Road instead. Still, Super Circuit getting more recognition. My prayers have been heard. Thank you, Ninty. The only thing I dont like about this DLC packs, is that characters from other series are being introduced, while there are still a lot of Mario series characters missing (some of them Mario Kart favorites) and we are left with those non-sense clones from the horrible initial roster. If a 3rd DLC pack fixes that, welcome. Enough race tracks, they should definitely make a DLC with classic Battle mode arenas. It's all about the F-Zero references. Hopefully the big cheeses at Nintendo will see that we want a new F-Zero game. I hope there's another round of DLC that includes proper battle mode courses, with a mix of classics from previous games like BLOCK FORT!! I am most excited about the Wild woods and Animal crossing tracks. And I also like what they did with Ribbon road. As for a third and maybe fourth pack: Absolutely! Good stuff! Although I'm very excited about the new DLC, the 200 cc mode brings a new challenge for me. The 150 cc is kinda easy . The new tracks are of course what I was waiting for, but I can't wait for the 200cc challenge! All of the tracks are going to feel totally fresh. Yes make more DLC packs in the future! Add in Metroid and Star Fox themed tracks, karts and racers the way they gave us The Legend of Zelda and Animal Crossing in the latest DLC packs. Give us Samus as a racer, maybe even an armored version and Zero Suit version. Two tracks based on Metroid games. A kart inspired by her own ship, and maybe a second kart inspired by Ridley. Then on the Star Fox side, give us Fox, Falcon and maybe Wolf as racers with two different Star Fox tracks and a kart inspired by the Arwing, an ATV inspired by the Land Rover and maybe a bike as well with a dinosaur design as a nod to Star Fox Adventures. Or make the bike modeled after Falcon. So many options with those two franchises. If they want even more, they can bring in Kirby, Splatoon, give us more from Zelda (like a Princess Zelda racer, or Tingle for that matter). All of this brings me closer to my dream of a full blown Super Smash Bros Racing. If we got a 3rd DLC patch, I'd just want more customization. For example a Mii cup where you can create your own custom 4 track cup. Those are my ideas. You can thank me later.